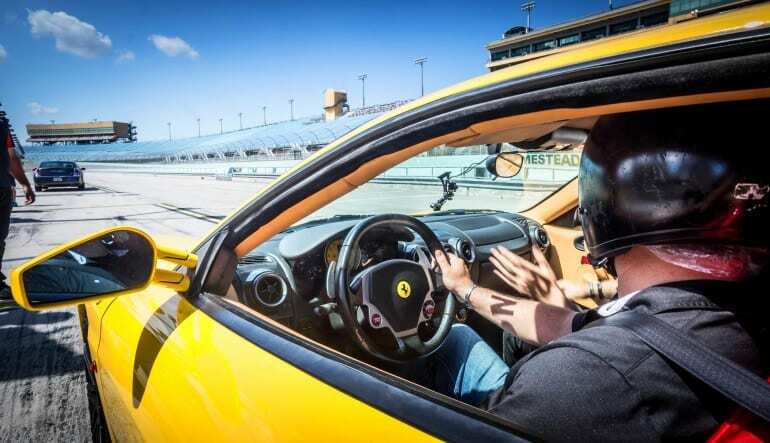 Can’t choose between driving the Ferrari or the Lamborghini? It’s not an easy choice and not one you have to make. 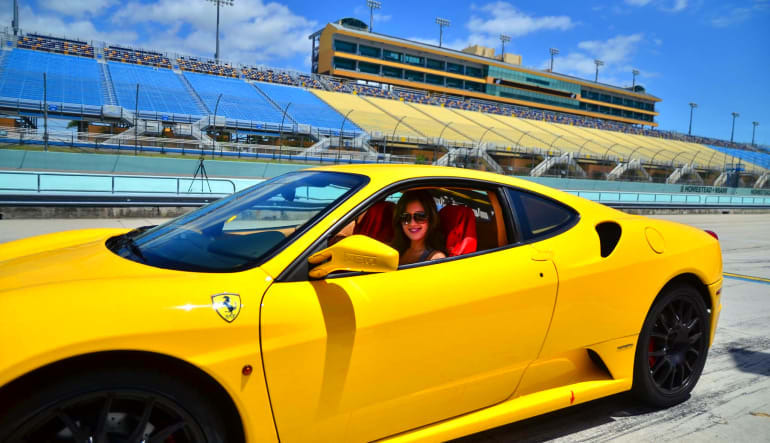 Get behind the wheel of BOTH vehicles for 3 laps in each at the Miami Speedway! 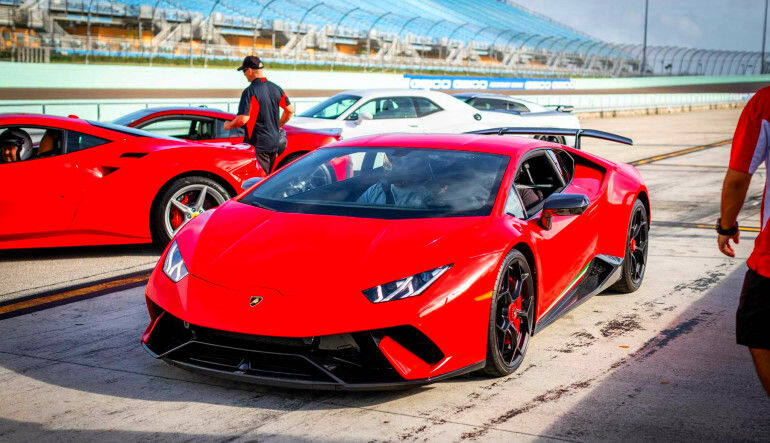 Can’t choose between driving the Ferrari or the Lamborghini? It’s not an easy choice and not one you have to make. 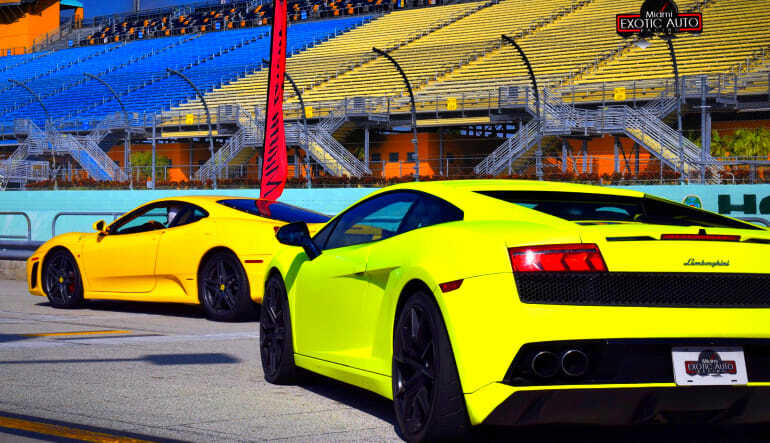 Get behind the wheel of BOTH vehicles for 3 laps in each at the Homestead-Miami Speedway! More cars. More Laps. The best value. The Ferrari’s 450 bhp, naturally-aspirated 3.6-liter 40-valve V-8 engine and the F1 paddle shifters & Racing Clutch are a dream to drive! Take it for a thrilling spin today! 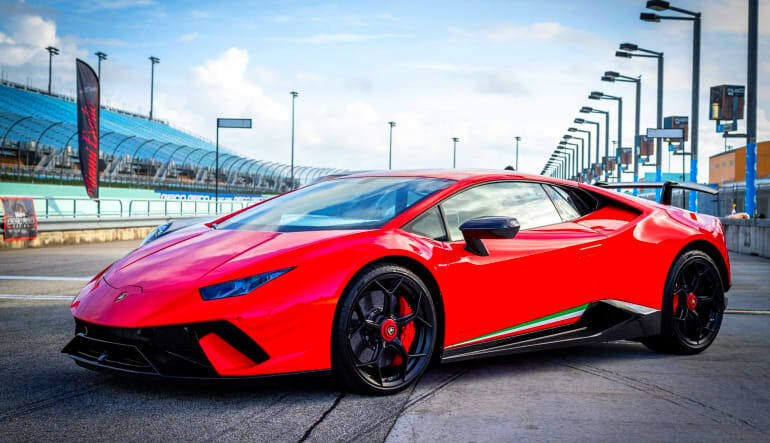 The Lamborghini Gallardo has a 542-horsepower V10 that is light on its toes and handles with every bit of precision you’d expect from the raging bull. A top speed of 196mph pairs oh so perfectly with this nation’s longest professional road course straightaway. Book your racing adventure today!